(CN) – Interior Secretary Ryan Zinke pushed back against accusations that he reduced two national monuments in Utah to pave the way for mining and oil and gas companies during an outdoor exposition in Salt Lake City on Friday. “In terms of Bears Ears, there wasn’t one square inch removed from federal protection,” Zinke said, saying much of the land will revert to federal management prior to former President Barack Obama’s designation in 2016. But at least 250,000 acres will be assimilated into the Manti La Sal National Forest, meaning formerly preserved land will be once again subject to timber production, livestock grazing and other natural resource-related activities. Zinke was on hand at the Western Hunting and Conservation Expo on Friday to sign an orrder that requires the federal government to closely coordinate its plans with state agencies and private landowners to ensure the vitality of wildlife corridors. Zinke’s appearance at the expo was greeted by a host of protesters, still smarting over his decision to dramatically reduce the two national monuments created or expanded by Democratic presidents. Patagonia – a purveyor of sustainable outdoor clothing and gear – clapped back. “I am not aware of any oil and gas permits on Bears Ears. The old uranium mine is on the wilderness side, Zinke said, referring to the Dark Canyon Wilderness and the fact that any federally designated wilderness area is off-limits to mining or any other development. However, environmental organizations have pointed out that Energy Fuels Resources (USA) Inc. spent several years lobbying the federal government to keep certain areas outside the monument boundaries. 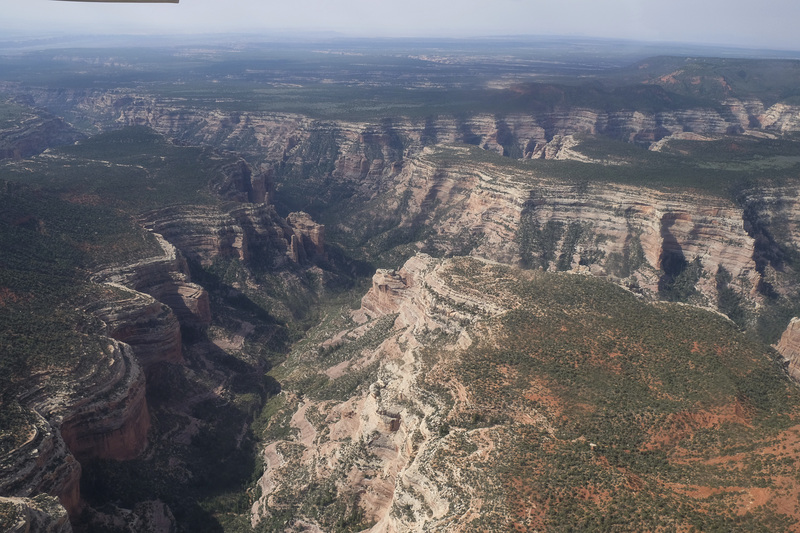 Zinke noted the current boundary of Bears Ears is larger than Zion and Bryce Canyon combined, and said he is more interested in preserving access and different types of recreational uses than any underhanded giveaway to extractive industries. However, the secretary has been firmly on the side of drilling and energy development on public lands since assuming the helm at Interior. Along with recently released memos that contain plans to streamline and hasten permitting processes for oil and gas leases, he has pursued an offshore drilling plan on the Outer Continental Shelf that has angered nearly all of the coastal states regardless of their political leanings.